Speaking to International Investment, Oliver Cornock, OBG's editor-in-chief and managing editor for the Middle East, said: "Foreign direct investment into the UAE increased in 2017 but has not returned to the highs of the last decade nor indeed to the lows of the post-financial crisis period. Given the importance the various economic development strategies place on it though investors will not only be seeking reassurance that the regulatory frameworks in the UAE are conducive, they will also be looking at the fundamentals but also the risk profile of the country. It's therefore interesting to see that regional political volatility remains the single biggest concern of UAE businesspeople. It's therefore crucial that the authorities seek to reassert their safe-haven status." 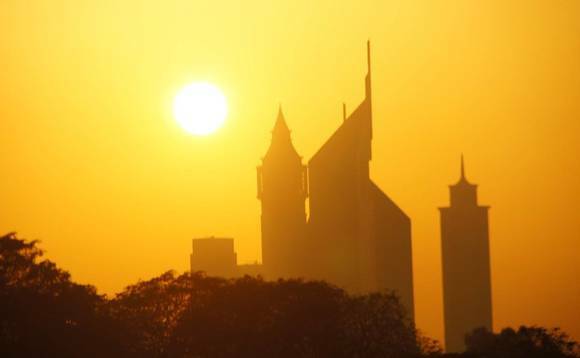 Cornock continued: "While the UAE undoubtedly has significant competitive advantages, one of the factors that has come to the fore in recent years has been the cost of living. This has risen and risen and come up frequently as a major concern for foreign businesses, something that the authorities will no doubt be conscious of". "There is perplexity in the UAE and elsewhere in the region as to the whole Brexit process, and the near stasis which has resulted in terms of UK government engagement with the Gulf. This position is unfortunate given the significant opportunities that currently exist for the UK." Writing on the report's findings, Cornock pointed out that, while efforts to steer the economy away from a dependence on oil at the federate and emirate level were progressing, the UAE's finances were now also feeling the weight of a dominant real estate sector. "Property prices in Dubai and Abu Dhabi have long been said to be bloated and over-inflated," he said. "In both markets, the corrections seen in 2018 might be welcome by some, such as individuals looking to buy, but the broader reflection is of economic uncertainty, albeit for differing reasons."